I came across a blogpost from Jon of Excel Campus (one of my favorite Excel sites) last week. In his post, he showed how to filter for a list of items using a reverse partial match lookup. Obviously, it is a formula approach. 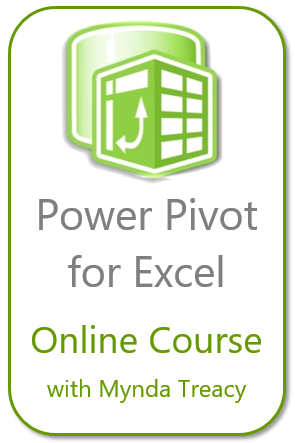 From his post, you will see how Excel formula can save you from tedious works at workplace. In this post, I am going to replicate Jon’s example and achieve similar results without a single formula. Thanks to Advanced Filter! Yes. It’s right there – just next to the Filter that most people have used it. But… I believe there is a high chance that you may have never used it before… 🙂 If that’s the case, please continue to read and you will find it super helpful. Although with the term “Advanced”, Advanced Filter is indeed not difficult to use at all. You may download a Sample File here to follow through. What we have is a list of 1000+ company names. What we need is a list of companies that contains the word “bank” or “Telecom”. You may wonder why we don’t just do it with normal Filter…. How to do it with a Filter? As I said, it is a tedious work. Some people will browse the list from the filter and click the check box one by one, by eyeball. Yes by eyeball. While you input “bank”, you will see immediately the filter is smart enough to show you only items that contain “bank”. What’s is even better is you can ADD other search terms to your filter list – by checking the “Add current selection to filter“. WOW, that’s good enough you may think. Well… if we are dealing with only two items, yes it is. Think about you need to deal with 10 items? Then you need to repeat the steps 9 times. That is tedious. What’s worse? The frustrating moment comes when you forget to check the “Add current selection to filter” on your final search term. You know what I mean. Note: The title of the Criteria Range, i.e. D1 in the above example, must be identical to the tile on the column we want to filter, i.e. B1 in the above example. For demonstration purpose, I select “Copy to another location”. You may, of course, “Filter the list, in place”, i.e in the original source location. By wrapping the text string with asterisk (*), Excel now interprets the criteria as anything that contains “bank” or “telecom”. It is done and as simple as this…… if you need a partial match. What if you want to differentiate Telecom from Telecommunications? As you see from the above result, company names with “Telecom” and “Telecommunications” got filter altogether. Indeed, that is what we instructed Excel to do… filter those contain the text string “telecom”. To get the names with the word “Telecom” but not “Telecom*”, you will need an intermediate step. This simple twist instructs Excel to look for (space)telecom(space). With this trick, the word “telecommunications” does not match the filter criteria. Of course, this twist assumes each word be separated by space. Note: In the sample file, you will see the filtered result at the end with two dummy names, one starts with Telcom; one ends with Telcom. If you need to filter for a list of items (strings) regardless position in the source data, i.e. partial match, you may use Advanced Filter to do the job easily, as long as you remember to put * before the strings in your criteria range. E.g. Please download the Sample File to practise. 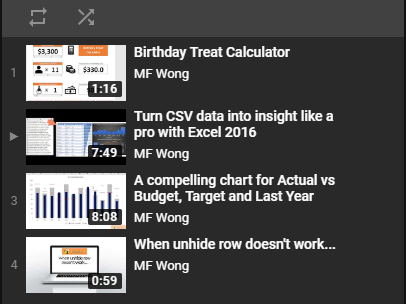 This entry was posted in Excel Tips and tagged Advanced Filter, Filter, wildcard. Bookmark the permalink. I like the filter functions pretty much and use them very often. They are really great! But in older versions the way is a little bit different. You get Auto Filter on Data -> Auto Filter. Then mark the headline of your table. Select a column and click on “customized”. And there you go! You may select your search term under “contains” or “does not contain” in combination with an ‘*’ or ‘?’. It’s a real great thing. And one of the best is, that you can save your filtered view and use it the next time whenever it is needed. Very handy, if you are working with data requests. Great solution and great post! I’ve tackled this kind of problem with a SUMPRODUCT formula, but this is a much more straightforward approach. Thanks. Glad that you like it ! Hey, great post! I often forget that advanced filtering is there but it’s so useful.